Latest edition: Vol. 20 (2018). See contents list for each volume. 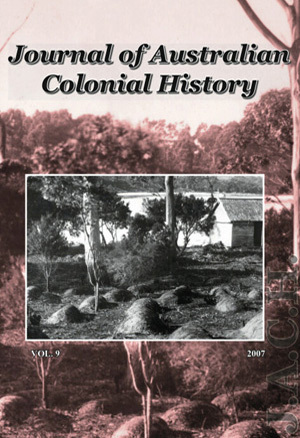 The Journal of Australian Colonial History (JACH) is produced and published by the Humanities at the University of New England (Armidale, NSW). 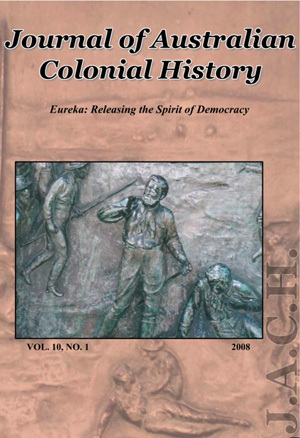 The Journal produces one volume annually, each consisting between 7–10 scholarly articles, plus book reviews and research notes, on a wide variety of subjects including convict history, bushranging, Aboriginal-settler relations, nineteenth century legal and medical developments, colonial nationalism and republicanism, colonial literature, imperial history, biography, and various aspects of Australia's early social, economic and political history. Colonial democracy and Indigenous-settler relations (Vol. 15). JACH's first Occasional Paper, The Ollera Papers 1838–1857, presents original correspondence drawn from the extensive records of Ollera Station in the New England region of New South Wales. The correspondence is important as a record of an intercontinental family venture where foundational investment from England was expected to return substantial colonial profit in due course. 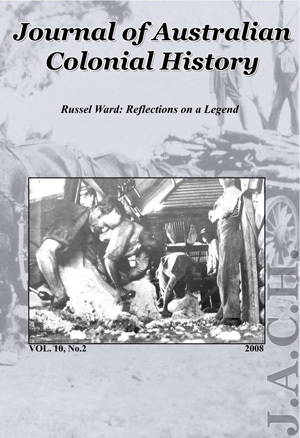 JACH also regularly publishes the University's Russel Ward Annual Lecture. JACH has a broad and expanding readership and is currently held in numerous Australian and overseas libraries. Most contributors are from Australian institutions, though works have been published by overseas scholars from the University of Edinburgh, King's College London and California State University, and by independent scholars from Britain and South Africa. JACH's is available electronically through all Australian University Libraries via the Informit e-Library (RMIT Publishing, Melbourne). Individual volumes are available for purchase. See JACH past volumes. JACH is a fully refereed journal, registered with the Department of Education, Science and Training, and accords with the Department's requirements for the Higher Education Research Data Collection (HERDC). Link to information about submission guidelines and past volumes. For further information including forthcoming volumes and subscriptions, please email the editor.